To understand how consciousness is linked to the brain, how the flickering activity of myriad of nerve cells leads to ineffable experiences, of seeing blue, of being warmed by the sun, or of being scared by exposure on a climb. I shared this passion with Dr. Francis Crick at the Salk Institute. Over close to two decades, we wrote, talked, thought, and discussed ways and means to discover and characterize the neuronal correlates of consciousness (the NCC). For a summary, see this essay that appeared in Nature Neuroscience in 2003. A photo-essay and the cover story from the LA Weekly provide a different view. I’m also interested in a theory of consciousness, a formal framework – formulated using the idiom of information theory – that explains what consciousness is, which system can have subjective experiences and why in functional terms. Such a theory would imply that a computer, properly programmed as to mimic the functional connectivity of the human brain, could be consciousness. Together with Giulio Tononi, a neuroscientist at the University of Madison in Wisconsin working on such a theory of Integrated Information, I recently surveyed what we can learn about biological consciousness and apply to machine sentience (and how we can teach a machine to truly understand the movie Blade Runner). 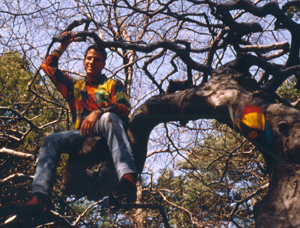 Francis passed away in 2004, leaving a profound gap in my life. I worked with him since the late 1980s, writing close to two dozen papers and book chapters with him, and came to love and admire him as a mentor, a scientist and as a friend. I miss him dearly. Martin Packer maintains an exhaustive web-site about Francis, his written legacy and his scientific impact. 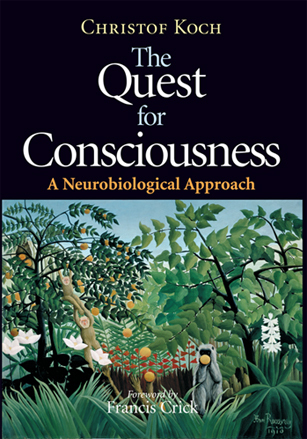 The Quest for Consciousness: A Neuroscientific Approach. The book discusses our framework for how consciousness, the subjective mind, arises out of the flickering interactions within the neurons of the cerebral cortex and related structures (its useful glossary is online). I am associated with the Association for the Scientific Study of Consciousness (ASSC), promoting research within cognitive science, neuroscience, philosophy, and other relevant disciplines in the sciences and humanities, directed toward understanding the nature, function, and underlying mechanisms of consciousness. Understanding selective visual attention, its purpose and its actions. Our laboratory takes a multi-disciplinary approach to this question, using sophisticated psychophysical assays, functional brain imaging of normal observers as well as large scale computer models of the primate visual system. We also write sophisticated and real-time machine vision implementations of saliency-based attentional algorithms. 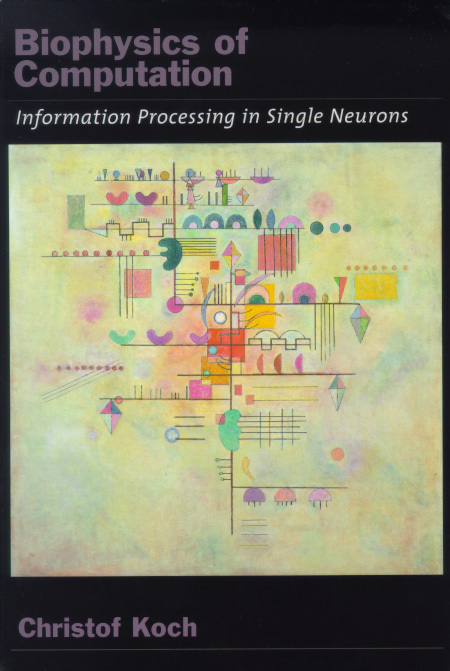 entitled Biophysics of Computation: Information Processing in Single Neurons.